The 250 West Region Supercross Championship was within reach for Cole Seely and the Troy Lee Designs camp as the series entered Las Vegas for the final race of the season. Trailing by eight points, Seely would need a win and a little luck to make it happen. Unfortunately, the outlook was bleak just a few feet out of the gate as Cole didn't get the jump he needed and would come up just short at the finish. There were no heat races in Las Vegas so after the qualifying practice sessions, where all the TLD riders looked good, it was straight to the line for their last main event of the season. 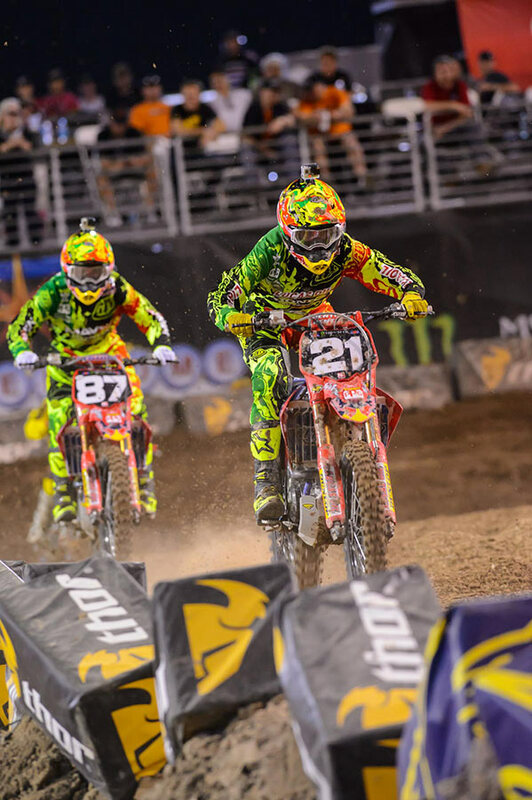 Seely needed to win and his rival would have to be worse than fourth in order for Cole to win the title. It wasn't out of the question. But the start was one of Jeff Emig's "Keys to the Race" and Cole just didn't get it. Shane McElrath was fifth off the line and he was followed by all of his teammates as they streaked into the stadium on the opening lap. Cole began marching forward with his championship rival behind him. At one point it looked like he might be able to close all the way up to the leaders but between a few run-ins with lappers and just plain not enough laps he came up short. At the checkers Cole finished fourth with his teammate, MavTV rider Malcolm Stewart, right behind him and his title rival just behind them. 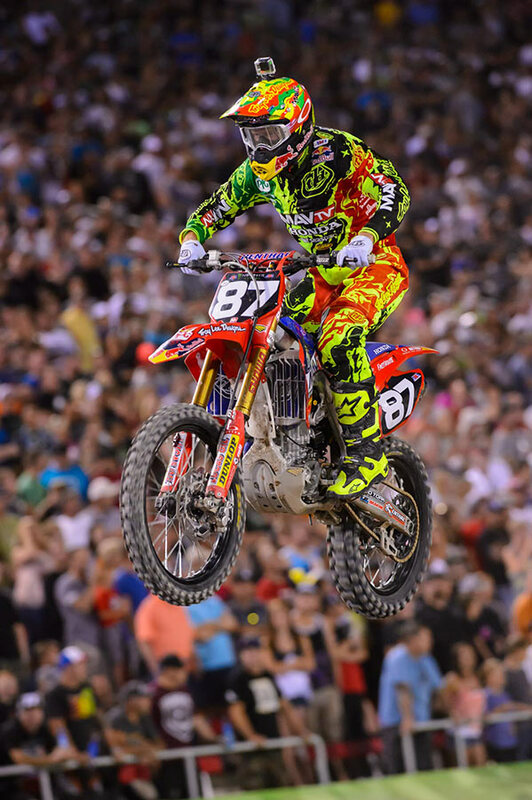 Shane McElrath posted an eighth place finish with Jessy Nelson following him in for ninth. But the night wasn't over for these guys. The annual Dave Coombs Sr. Memorial East-West Shootout would pit the best from both coasts against each other for a ten lap winner-takes-all feature. Malcolm Stewart got the best jump of all of the team riders and started the race in fifth. Shane was a few spots behind Malcolm while Cole and Jessy were mired in the back of the pack. Stewart looked like he was making a charge to the front, nearly catching the leaders before suffering a huge crash and pulling out of the race. Cole rode well and pushed his way through the pack for sixth while Shane and Jessy would finish ninth and tenth. 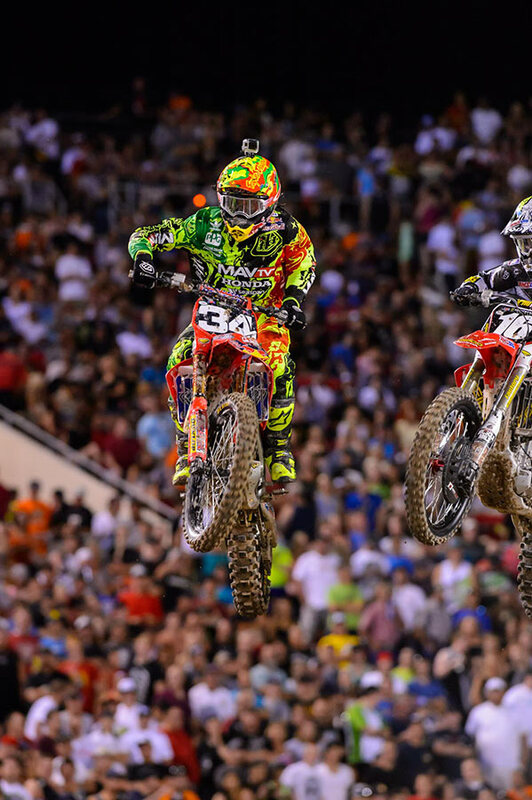 And with that the 2014 supercross season came to a close. "We gave it everything we had but just came up a little short," said Cole Seely of his title run. "It's definitely disappointing but it was still a good season and we have a lot to look forward to. I'm really proud to be a part of this team and so thankful for all the hard work they've put in. I don't think there's any question this team is capable of winning titles and it's just a matter of time for them. Hopefully we can make a good run at the national championship this summer." The Troy Lee Designs / Lucas Oil / Honda team is already back in California and switching gears. With supercross in the rearview mirror the entire crew turns their attention to the Lucas Oil National Motocross Championships starting in two weeks time at Glen Helen Raceway in San Bernardino, CA. Seely, Nelson and McElrath will be continuing the battle on their CRF250's while Malcolm Stewart will step up to the premier class on a powerful CRF450. Make sure to come out and see all the riders when the series kicks off on May 24th. 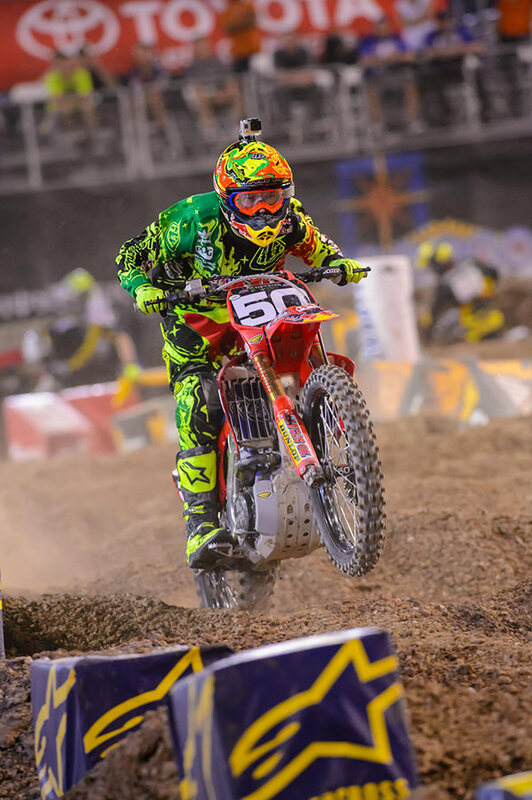 The TLD riders debuted the 2015 GP Air gear in Las Vegas, which will be available later this month online and at your local TLD retailer.